Women have long debated and discussed the fantasy ideal of icons like Barbie and the Disney Princesses. I’d say I’m a Disney princess fan, but I don’t think about them too often, or about how Disney characters have influenced my life. However, I had to think on it today when I noticed “Star Trek” icon George Takei’s recent post on Facebook–including the below image. Takei is an openly-gay activist who frequently posts progressive material on Facebook. Most of the time I agree with what he posts, but I clicked the ‘share’ button on Facebook to see what my friends thought of this one. 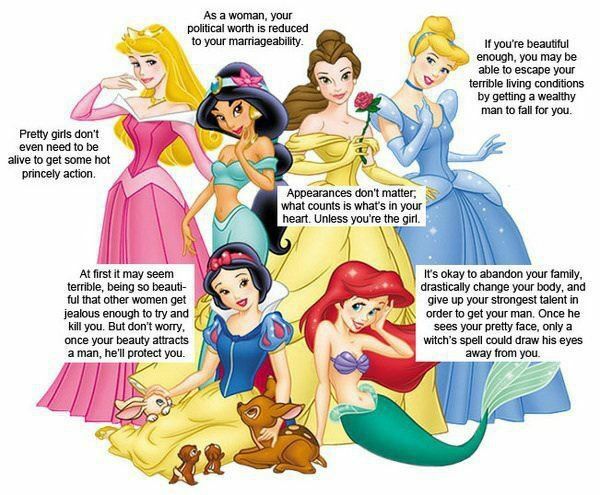 I agree that some behaviors of some Disney princesses are not good for little kids to watch. Think about little boys, too. I mean, Prince Charming is SUCH a flat character devoid of personality that his name is actually just Prince Charming. What does that say about a man’s value if he is not a prince exemplified completely by one attribute? I’m 30, and I dragged my husband to see “Tangled.” I’m so glad I did! Both Rapunzel and Flynn Rider (the love interest and male protagonist) learn to overcome their own issues, individually and together. I was delighted to find that Flynn had tons of screen time and learned just as much as Rapunzel. When I went to Disney World, I learned that some of the employees (the ones that were women and my age) also had major crushes on Flynn! Of the princesses in the picture, I most relate to Belle (from “Beauty and the Beast”). I was a pre-teen when I started watching “Beauty,” but what I really liked about it was that Belle was called “odd” and she was more than a bit of a book nerd–just like me! She wasn’t valued in her small village and she could have taken the easy road by marrying Gaston, but instead she pursued her own interests and chose not to be open to love until she found someone worth loving–who valued her for her own personality and her interests. As much as I like Disney, I don’t think it’s a good idea to expose a child to only Disney material. For example, I was really into “Anne of Green Gables,” a book series (and film adaptation) about a red-headed and individualistic young woman in Canada in late Victorian/early Edwardian times. Like Belle, Anne is book smart and doesn’t settle for the first rich and handsome fellow who shows her some interest. 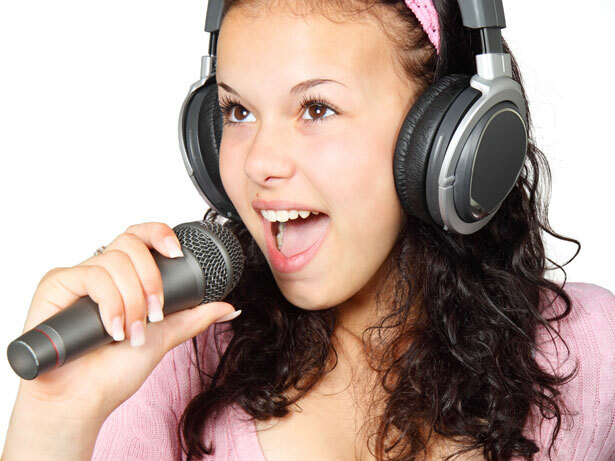 She is career-oriented and supported by her family in her goals. Anne was a great role model for me. As a geek-in-training, I often felt like an outsider and usually had my nose in a book. Now I’m a full-time writer, partially as a result of the influence of that character. Our society now really pushes the idea that all complexions are beautiful, and I agree with this message. It seems like there will eventually be a Disney film celebrating ladies of multiple complexions and cultural backgrounds–also awesome. Princesses were white only for decades, and that’s not how it should be. That said, it’s nice to be able to go back to the princess who looks like me in one way and relate to her. I hope young women of all races can have this experience in relating to characters. Image posted by George Takei on Facebook. Helpful information. Lucky me I discovered your site by accident, and I am shocked why this twist of fate did not took place earlier! I bookmarked it.